Do you know what one of the most effective forms of communicating with fans of your music is? I’ll tell you: sending out a email newsletter. Not Facebook, not Twitter. 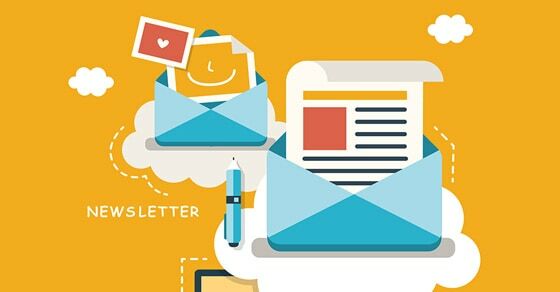 Email newsletters reach more of your fans, and at a time where they’re ready to sort things out and not just look for the latest entertainment on social sites. But not all newsletters are created equally. It’s no good just sending a email with random ramblings, this will lead to unsubscribes fast and people not taking action on what you’re offering. So how do you go about putting a good newsletter together? I’ll show you below. If you haven’t got any email subscribers yet, read this guide for a look at how to build a list. Otherwise, let’s get started. One big mistake many make when creating their newsletters is cramming too much information in their emails. They’ll literally not email their subscribers for a month or two, then send a email covering everything that’s been happening between their last newsletter and now. It’ll make them feel less overwhelmed. I’m sure you’ve received emails before when you see it has 10 different things to read. While you might have a look through if you’ve some times on your hands, a highly likely response is “I’ll look at it later”. And guess what? Many people don’t get to it later as they receive new emails and forget about the old ones. I’ve been guilty of this, and I’m sure you have too. So don’t put your readers in the same situation. Readers will be more likely to do what you want. With each email you send out you should have an end goal. That could either be them joining a gig, them watching your new music video and sharing it, them buy a song, or simply them being more informed about you and growing a stronger connection. Whatever the case, you want that aim to be clear. If though you’re speaking about a lot of different things, you’re diluting your potential to have your main message hit home. You should instead just have one clear message, and you’ll have more people taking action with it. You’ll have an excuse to email people more often. Instead of putting everything in one email once a month, you could send out say 4+ during the course of a month. Why is this a good thing? Because you’re reminding people you exist more often. You making them think of you more will mean not only will you potentially make more sales, but you’ll also make people’s bond with you a lot stronger. If they feel like you’re keeping them updated, they’re more likely to want to spread the word about you too. While there will be times where you’ll need to write and share more than one thing in your newsletter, one main point is ideal. When you use your email marketing software (which you’ll need to send your music newsletter out, details in this guide), you’ll notice they give you the option of sending out ‘plain text’ or ‘HTML’ email newsletters. Plain text newsletters are like ones you’ll see from friends; no styled images or layout in the email, just writing and possibly a few links. HTML on the other hand is the same ‘language’ they use to make websites. So effectively, it’ll make your emails look nice and professional. While there are some who would be better off going plain text, as a musician you can give off a better and more professional image with HTML emails. Your email marketing provider will give you some pre-made templates, so this is easy to set up. One of the most important things you can do in each of your emails is include a ‘call to action’. What this basically is is asking the reader to do something. If for example you’re up for an award and you need people to vote for you, when you email your fans about this you should specifically ask them to vote for you. Don’t just mention you’re up for an award, leave the link but not ask people to vote. Yes you’ll get some people voting, but by simply asking people to vote (e.g. “please take a few seconds to vote, it’s much appreciated:”) you’ll get a lot more people doing so. 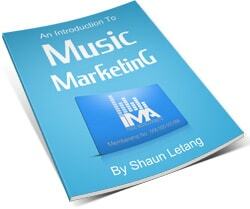 This is a proven strategy, and one that I’ve seen work well for both myself and music clients. If you don’t ask, you don’t get (as much). Last but not least, a simple yet important reminder: only send out information which your fans are going to be interested in reading! It’s easy to send out every little detail of what’s happening with you just so you’ve got a newsletter to send out this week. But what you’ll find it some emails will be more interesting to fans than others. In fact, some emails me be of very little interest to fans, even if it is related to you. How do you know which emails will work well? Well, from what I’ve seen it’s not good to guess this. Sometimes fans largely ignore the emails which you think will do well, but love the ones you think won’t do as well. So how do you find out which types of emails your fans specifically want? Simple: test! The email marketing software Aweber gives you statistics and allows you to see which emails do better than others. You should use this information to over time better send the emails which your fans actually want to read. You should try each type of email at least twice over a period of time (say at least a couple of months apart) to see if it’s worth using or not. Getting newsletter subscribers is one thing, but if you don’t know how to keep them entertained you’ll be missing out on one of the best forms of communicating with fans you have. If you haven’t yet got many subscribers and want to increase them, or just set up your first newsletter / mailing list, check this guide for how to do that. 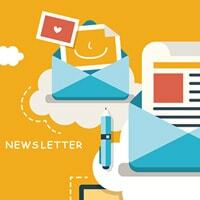 So, do you have any other tips on creating a well received email newsletter? If so please share them in the comments. Great Article and good info. Thanks! !